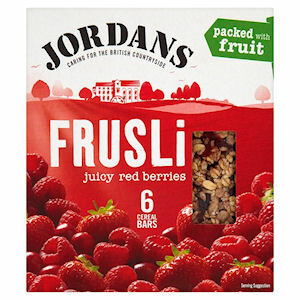 Jordans are passionate about starting the work day right with a healthy and delicious breakfast. 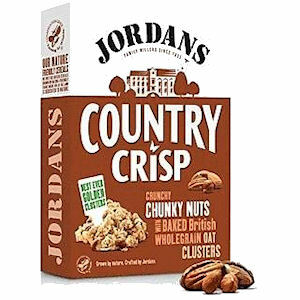 Through their endeavors with the Jordans Farm Partnership they also work hard to look after the great British countryside too! 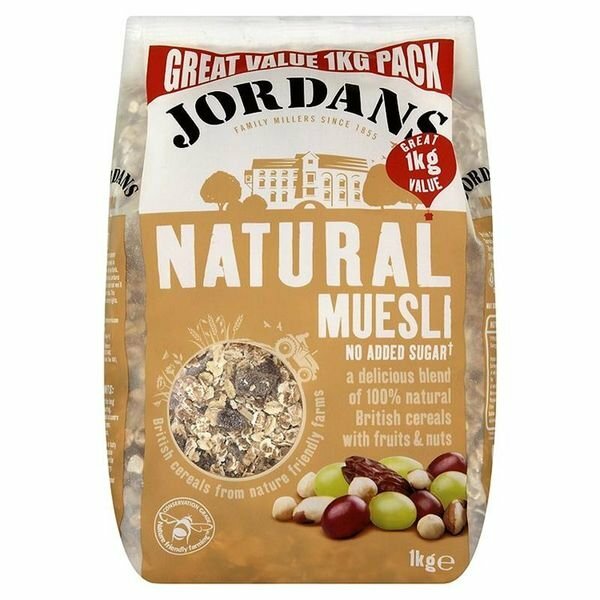 Jordans ensure all the ingredients that go into their nutritious breakfasts are sourced naturally, like their whole grain oats, dried fruits, nuts and seeds. You can find both a selection of their cereals and cereal bars in flavours like Raisin & Hazelnut and Juicy Red Berries at Zepbrook. 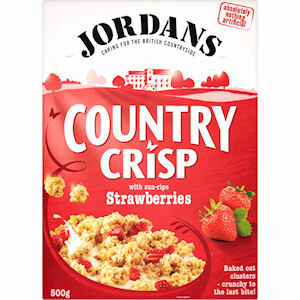 Get your Jordans cereal from Zepbrook tomorrow: order before 5pm if you're in London (or the M25 area). 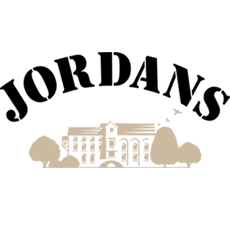 Do you need Jordan's products that are not currently listed on our website? Contact us - we can source and deliver many other products for a competitive price. Call us now on 020 8752 0110 or enquire online. 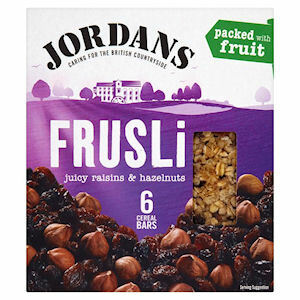 Tasty wholegrain oats baked with hazelnuts combine with juicy raisins to create a delicious bar. 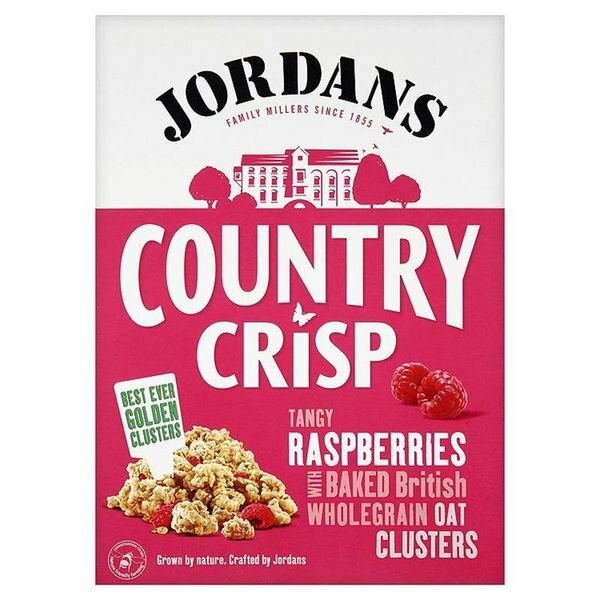 Packed with strawberries, cranberries, raisins and raspberries, this tasty cereal also oozes wholegrain British oat goodness.